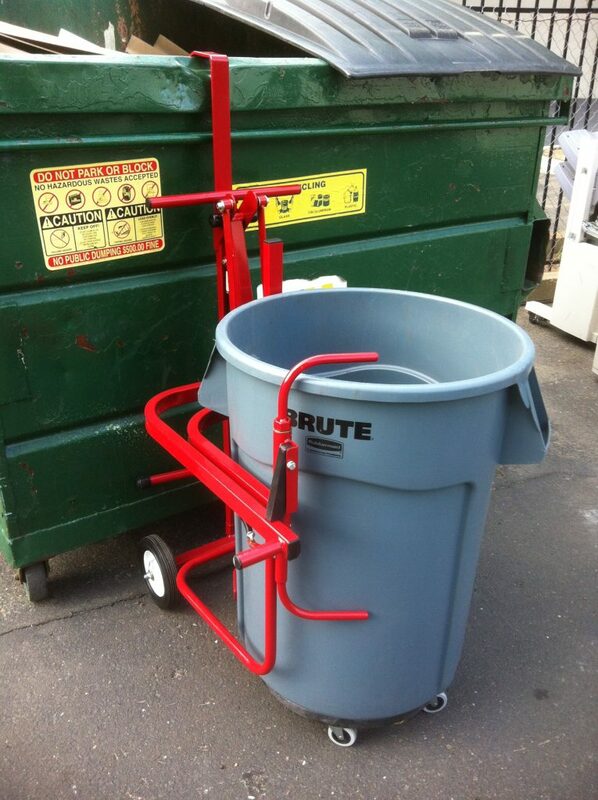 The EAGLE Lift makes taking out the trash safer and more efficient! 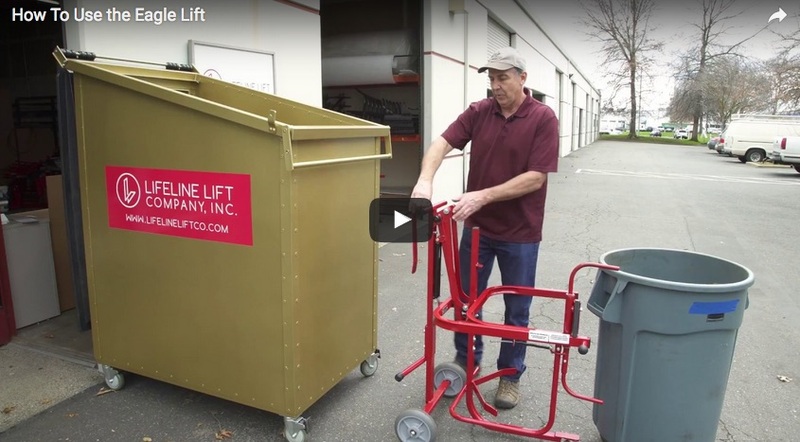 By locking trash containers in place and holding them in a suspended position over the dumpster as they empty, the EAGLE lift provides added control and assistance for anyone looking to empty a heavy garbage can. The EAGLE lift helps employers make their work places safer, and employees enjoy greater workplace satisfaction. 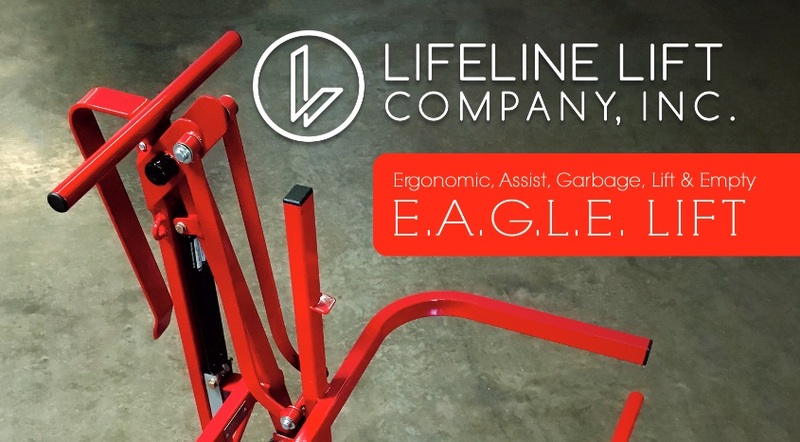 Contribute to the wellbeing in your workplace and minimize exposure to common injuries by investing in the EAGLE Lift today! 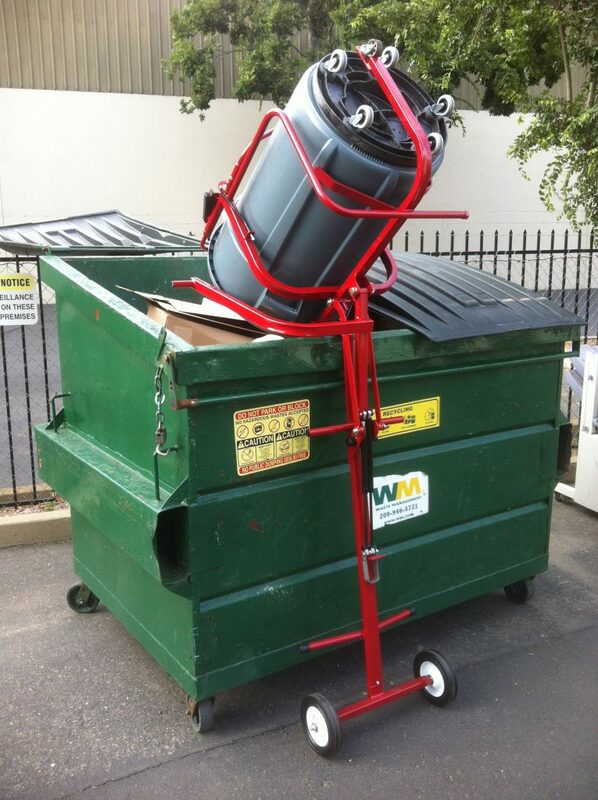 Completely empties refuse containers into dumpsters with minimal effort. Minimizes exposure & risk to common injuries from heavy lifting. 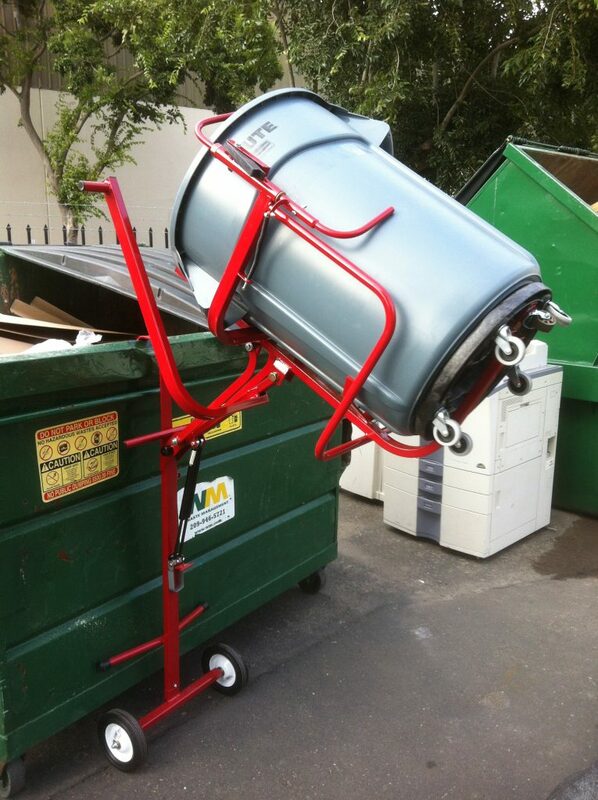 The finale link in safe waste management.